I am so happy that I have finished the lap quilt for my mum. 500 little squares found their place in this quilt. Cutting square size is 2 1/2″, finished square size is 2″. It turned out nicely, the colors are not exactly from my usual palette, but I think the result is nice. It is actually the first time that I have used so many fabrics in gray and black. I have quilted it with a straight line pattern in diagonals. 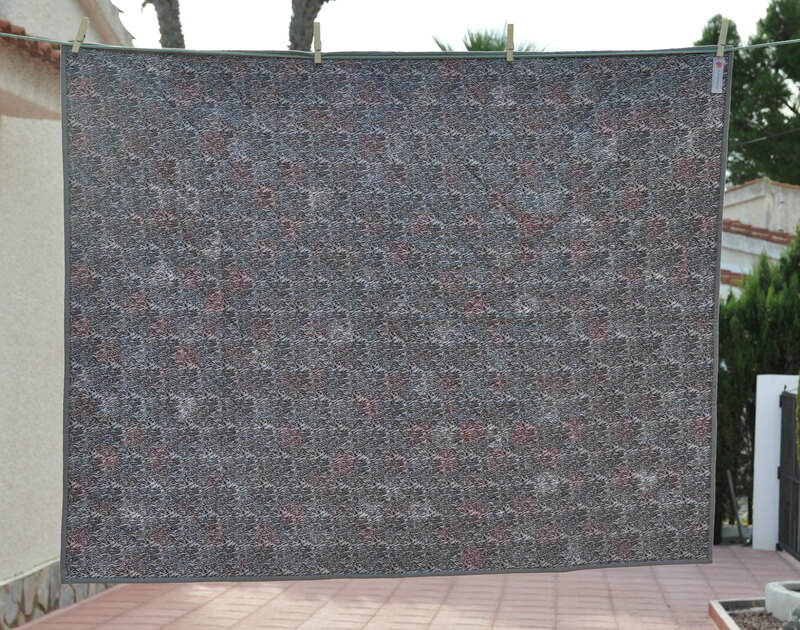 I have used a dark gray quilting thread from Gütermann Sulky in 30 weight. The binding is completely machine stitched from back to front. Another issue that kept me busy the last week was designing labels for quilts. People have asked me how they can wash a quilt without ruining it. So I decided to make some labels with not only quilt care but also quilt name and size. Inside the labels is free space for a personal note. 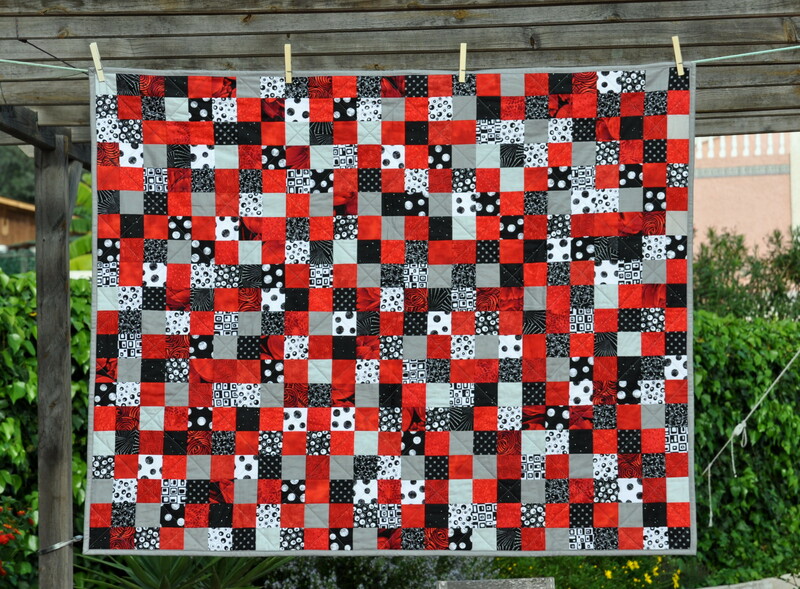 This entry was posted in patchwork, quilts, small projects and tagged finished quilt, machine quilting, thread. Your quilt is really amazing. Do you have a special trick to matching all those corners so perfectly? Have a great time in Prague. Hi Sandra, thanks for stopping and leaving your comment. Matching corners are quit easy, I think my next post shall be about this theme! Thanks Avis. This time I have set my eye on Kona solids – found a shop in Prague that has them. Can’t wait to see all the wonderful colors on bolts!! 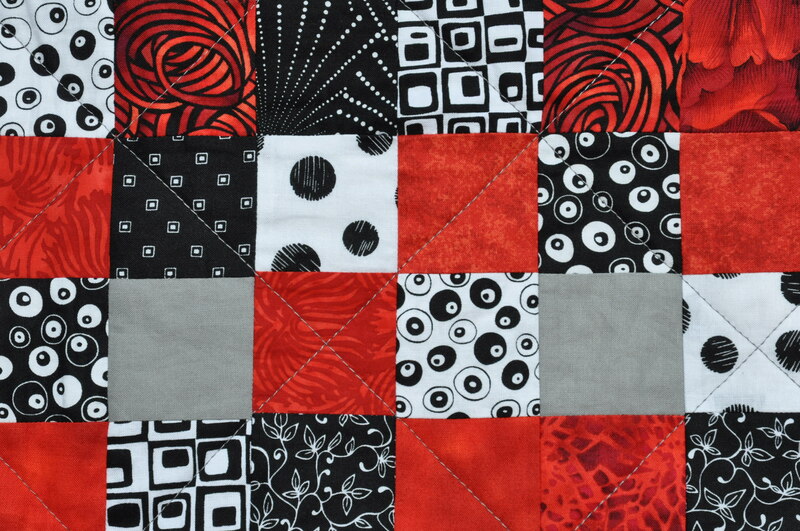 I love the colours of this quilt. 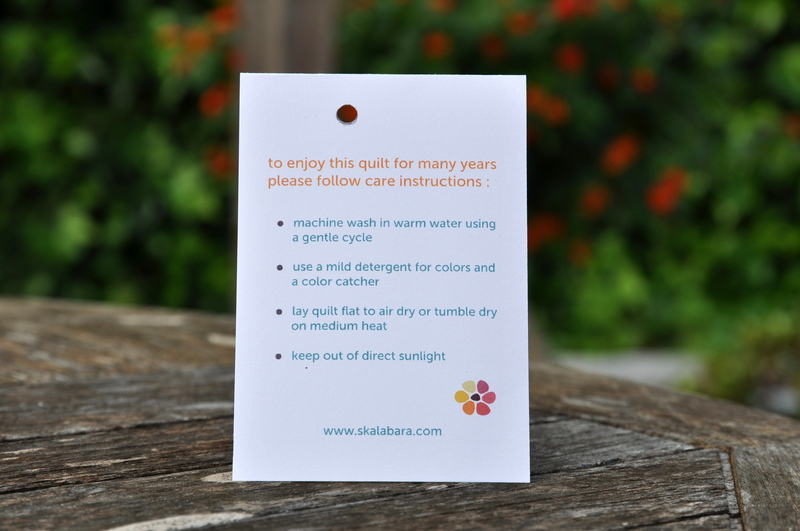 And what a great idea to make a care-for label for your quilts!